 Wayne State University Orthopaedics, 10000 Telegraph Road, Taylor, MI 48124. Introduction: Cast wedging is a simple and reproducible method of manipulating a sub-optimally reduced fracture producing a correction and a final alignment that is amenable to definitive closed treatment. Multiple successful techniques have been previously described in the literature (opening wedge, closing wedge and combination). Case Report: We present a simple reproducible method of templating and executing a proper cast wedging technique using digital imaging systems that are not controlled for magnification with an illustrative case. Conclusion: Renewed interest in cast wedging can provide a cost effective treatment with proven clinical outcomes in an ever changing and uncertain reimbursement climate. Keywords: Cast Wedging, Wedging, Reduction, Manipulation, Technique, Closed Fracture Treatment, Non-op, conservative management. The sophistication of closed management of fractures has made little advancement since the work of Sarmiento. [1, 2, 3, 4] Additionally; surgical indications for fracture treatment have expanded significantly. As a result; many fractures that were once definitively treated with closed techniques are now proceeding to surgical intervention with the associated added risk this entails even with minor procedures. Similarly; repeat reductions utilizing conscious sedation in the emergency department are much more prevalent than opting for the less invasive cast wedging techniques. Additionally; no cost analysis could be identified in the literature regarding cast wedging. Cast wedging had been a time tested technique for fine tuning fracture alignment since it was first described by Bohler (1958). However; application of this technique has dwindled dramatically most likely in part to the technique being poorly taught (if at all) in modern training programs and the adoption of more aggressive surgical indications. Three types of cast wedging have been described in the literature: opening [5, 6, 7, 8, 9, 10, 111, 12] closing  and balanced/combined opening and closing wedges. [14, 15, 16, 17] The opening wedge technique has been the most commonly utilized due to its simplicity. Vector analysis demonstrates fracture site distraction can occur with the opening wedge technique; while the closing wedge techniques demonstrate fracture site compression on vector analysis. With opening and closing wedge techniques the pivot point is located at the level of the cast which is in contrast to the balanced/combined opening and closing wedge technique that attempts to move the pivot point within the fracture site . The optimal location for cast wedging in reference to the fracture has also been argued in the literature. Some authors advocate placing the wedge at the site of the fracture [8, 9, 11, 12] while others advocate placing the wedge at the intersection point of the two long axis of the major fracture fragments [5, 6, 16, 17]. Additionally; some authors argue that the location of the wedge can be at the level of maximum deformity/angulation. Complicated trigonometry explanations for how cast wedging works are well described in the literature but their complexity make them impractical in implementation. Consequently; multiple techniques have been devised that are based on geometry/algebra and their simplicity facilitates their clinical application. [9, 10, 12] Berberich et al (2008) developed a both bone forearm fracture model and performed a systematic biomechanical evaluation how cast material, wedge location and wrist position affected the ability of a wedging to correct the deformity. Berberich et al concluded that cast material had no influence on results, the optimal position an opening wedge is on the concave side of the cast at the level of the fracture and that in dorsally displaced both bone forearm fractures (dinner fork position) casting with wrist extension optimized the reduction. Wedges can be wood blocks or staked tongue depressors, pieces of cork  or prefabricated plastic wedges (DM Systems. Evanston, Il) as seen in [Fig 1]. All of these options have been used by the senior author; however, he prefers the prefabricated plastic wedges (DM Systems. Evanston, Il) due to their ease with manipulated. 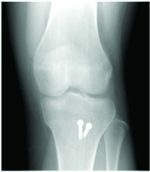 Cast wedging has a proven track record in orthopaedics but has lost favor due to the techniques being omitted from resident training programs and the adoption of more aggressive surgical indications. This technique should not be lost to posterity for it is a simple and cost effective method to optimize fracture reduction and in a significant number of patients should prevent the risk associated with additional reduction attempts under conscious sedation or surgical intervention under general anesthesia. Radiographic Normalization: Digital imaging must be normalized to negate any magnification/projection issues; thus, allowing accurate measurements for wedge calculation. This can be done using imaging markers on the film cassette or markers attached to the patient’s cast; and then, utilization of the techniques popularized in total joint arthroplasty templateing technique. However; with the numerous different imaging software platforms that are encountered on a daily basis in a fracture clinic these intrinsic markers may not be available and additional methods may be required. The senior author has used the following method for image normalization with respect to cast wedging. Once a fracture has been cased standard x-rays are obtained to confirm fracture alignment. If the bone(s) in question are found to be suboptimal alignment and a wedging is indicated the patient will have the width of the cast in the plane of the proposed wedge perform the measurement [Fig 2]. This measurement can then be used to make sure the measurement at the same level in the digital imaging system is the same. If the two cast width measurements do not coincide then the digital image can be zoomed in/out (scaled) as appropriate until the two measurements concur and the remainder of the measurements for the cast wedging can be performed on the digital system. Wedging (Fig 3): 1. Once the digital imaging has been scaled to match the patient; calculation for the cast wedge can be performed that the designated magnification. 2. On the anteroposterior (AP) or lateral radiograph lines are draw along the long axes of the major fracture fragments (proximal and distal) allowing more measurement of the deformity angle and formation of triangle a-b-c. 3. Triangle a-b-c is then rotated placing apex “a” at the level of the cast on the convex side of the fracture. This point will act as the hinge during wedging. On digital systems triangle a-b-c can generally not be simply rotated into place but instead must be reformed by recreating apex “a” of the triangle (which is the same as the deformity angle) at the at the level of the cast on the convex side of the fracture. 4. Once apex “a” has been recreated at the level of the cast on the convex side of the fracture; the base (b-c) of triangle a-b-c can be translated along triangle limbs a-b and a-c to coincides with the cast on the concave side of the fracture. This is where the wedge will be opened. 5. The length of b-c at the level of cast on the concave side of the fracture represents the width to which the wedge must be opened to correct the deformity angle to zero. 6. Repeat the same procedure on the orthogonal x-ray to obtain a measurement for a wedge required in that plane if need. 7. Lines are then dawn on the cast at the level of the fracture to outline the level/position at which the wedge will be cut. It is important to leave a quarter of the circumference of the cast intact on the convex side, that correlates with apex ‘a’, to act as a hinge during wedging. 8. A cast saw is used to cut along the outline drawn on the cast; and, a cast spreader is used to then open the wedge in the cast on the concave side of the fracture. A wedge the same length as the base (b-c) of triangle a-b-c is then placed within the opening. 9. With the wedge in place repeat x-rays are performed to confirm proper correction of fracture alignment. 10. Once proper alignment is established sufficient padding in the area of the opening wedge is confirmed and the opening wedge is stabilized by over wrapping the area with additional casting material (plaster or fiberglass). Final images are obtained. Illustrative Case: Fig 4 demonstrates the x-rays of a 12 year old boy who sustained a both bone forearm fracture while ruff housing with a sibling and fell on his out stretched left upper extremity sustaining a mid-shaft both bone firearm fracture that originally had approximately 30 degrees of dorsal angulation and was provisionally reduced in the emergency department the night of the injury. Subsequently; the patient presented 3 days later to the orthopaedic clinic for evaluation and a residual deformity of 18 degrees of dorsal angulation was noted. Cast wedging was opted for to improve the fracture alignment without subjecting the patient to the risk of conscious sedation with manipulation or surgical intervention. Cast wedging using the technique presented here effected an anatomic reduction that was able to be held until union was achieved. Cast wedging is not a novel treatment modality when performing closed fracture care. However; the unfortunate truth is that the technique has not been taught well in residency training programs as a result of more aggressive surgical indications and with time will become a lost art if interest in the technique is not reinvigorated. The 15 citations identified in the literature had publication dates ranging from 1958 to 2008 with the vast majority originating from the early literature as seen with mean of 1979 and both the median and mode being 1974. Three assumptions are made when implementing cast wedging to effect a correction of the bony alignment of the underlying fracture:  1. The fracture malalignment is planar with a fixed/set angle formed by the long axis of the major fracture fragments. 2. The major fracture fragments maintain a fixed position in relation to the cast during wedging so that angular corrections at the cast level mirror those deeper at the level of the fracture. 3. The pivot point exists in the plane perpendicular to the fracture deformity so that a single point of rotation can fully correct the malalignment. These assumptions allow physician to evaluate the fracture on a two-dimensional image and calculate a correction in a single plane with a defined point of rotation. The soft tissue envelope however, does deform with pressure and the force and correction applied to the cast does not perfectly reflect that which is seen at the fracture site and additional adjustments may be needed. To perfectly transmit the forces from the cast to the underlying bone pin fixation would be required15 and the benefits of non-operative treatment would be lost. 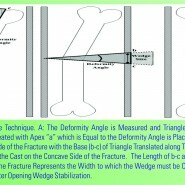 Consequently, in our technique we images obtain of the fracture with the wedge in-place before over-wrapping the cast and stabilizing the wedge. If an adjustment in the wedge size is needed due to imperfect force transmission through the soft tissue envelope this can be performed prior to wedge stabilization. 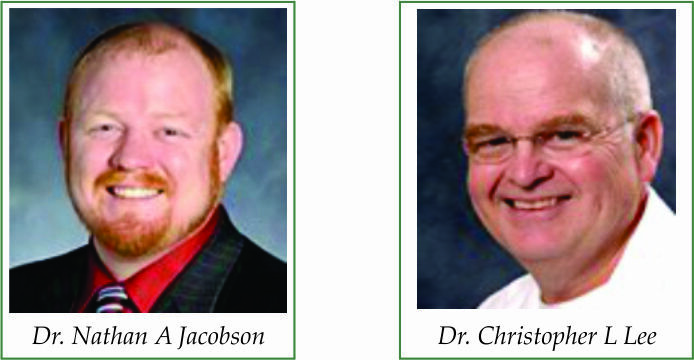 The authors experience; however, additional manipulations of the cast wedge size are only rarely needed. Operating room cost analysis demonstrates that the significant savings in the cost of treatment is seen when cast wedging is utilized when compared to all other treatments: conscious sedation with manipulation and surgical intervention with flexible nails or open reduction with internal compression plate fixation). A 2005 survey of 100 U.S. hospitals reported an average charge of $62 per minute (range $22 to $133) which did not include the fees of the surgeon, anesthesiologist or surgical implants.19 Utilizing this number a 1 hour surgical case would cost $3,720 before physician fees and utilization of any orthopaedics implants. Consequently; cast wedging allows for optimum fracture reduction without the risks of repeat sedation or surgical intervention while minimizing treatment costs and risks. Cast wedging allows for an economical method of obtaining optimal long bone fracture reduction recusing the risk of complications from sedation or surgical intervention. 1. Sarmiento A, Latta LL. Fractures of the middle third of the tibia treated with a functional brace. Clin Orthop Relat Res. 2008 Dec;466(12):3108-15. 2. Sarmiento A, Latta LL. 450 closed fractures of the distal third of the tibia treated with a functional brace. Clin Orthop Relat Res. 2004 Nov;(428):261-71. 3. Martinez A, Sarmiento A, Latta LL. Closed fractures of the proximal tibia treated with a functional brace. Clin Orthop Relat Res. 2003 Dec;(417):293-302. 4. Sarmiento A, Zagorski JB, Zych GA, Latta LL, Capps CA. Functional bracing for the treatment of fractures of the humeral diaphysis. J Bone Joint Surg Am. 2000 Apr;82(4):478-86. 5. Bohler L; The Treatment of Fractures, English Ed 5 (based on 13th German Ed), New York, Grune and Stratton, 1958, Vol 3, pgs 1725, 1732-1733. 6. Dehne E; Ambulatory treatment of the fractured tibia. Clin Orthop 1974; 105:196-197. 7. Mooney V, Nickel VL, Harvey JP Jr, Snelson R. Cast-brace treatment for fractures of the distal part of the femur. A prospective controlled study of one hundred and fifty patients. J Bone Joint Surg Am. 1970 Dec;52(8):1563-78. 8. Husted CM. Technique of cast wedging in long bone fractures. Orthop Rev. 1986 Jun;15(6):373-8. 9. Thomas FB. Precise plaster wedging: fracture-angle/cast-diameter ratio. Br Med J. 1965 Oct 16;2(5467):921. No abstract available. 10. Bebbington A, Lewis P, Savage R. Cast wedging for orthopaedic surgeons! Injury. 2005 Jan;36(1):71-2. 11. Berberich T, Reimann P, Steinacher M, Erb TO, Mayr J.Evaluation of cast wedging in a forearm fracture model. Clin Biomech (Bristol, Avon). 2008 Aug;23(7):895-9. Epub 2008 May 13. 12. Gregson PA, Thomas PB. Tibial cast wedging: a simple and effective technique. J Bone Joint Surg Br. 1994 May;76(3):496-7. No abstract available. 13. Charnley, J. The closed treatment of common fractures. 3rd Ed. Edinburgh Churchill Livingston, 1974, pg. 231. 14. Anderson LD, Hutchins WC, Wright PE, Disney JM. Fractures of the tibia and fibula treated by casts and transfixing pins. Clin Orthop Relat Res. 1974 Nov-Dec;(105):179-91. 15. Anderson LD, Hutchins WC. Fractures of the tibia and fibula treated by casts and transfixing pins. South Med J. 1966 Sep;59(9):1026-32. 16. Brown PW, Urban JG. 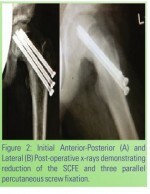 Early Weight bearing treatment of open fractures of the tibia An end-result study of sixty-three cases. J Bone Joint Surg Am. 1969 Jan;51(1):59-75. 17. Schulak DJ, Duyar A, Schlicke LH, Gradisar IA. A theoretical analysis of cast wedging with practical applications. Clin Orthop Relat Res. 1978 Jan-Feb;(130):239-46. 18. Davy DT, Heiple KG. A note on the theoretical basis for cast wedging. J Biomech. 1983;16(3):237-40. 19. Shippert, RD. A Study of time depemdent operating room fees and how to save $100,000 by using time-saving products. Am J of Cosmetic Surgery 2005: 22(1): 25-34.